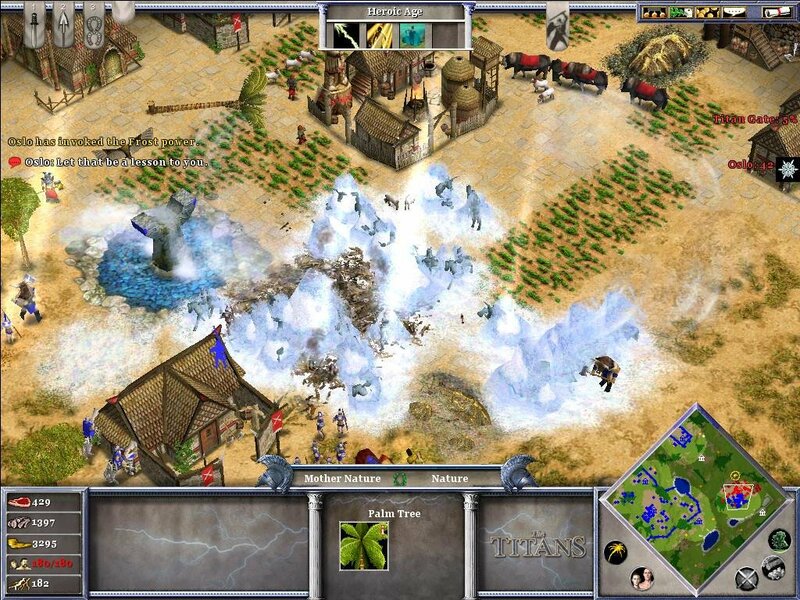 When Age of Empires II got dethroned big time. 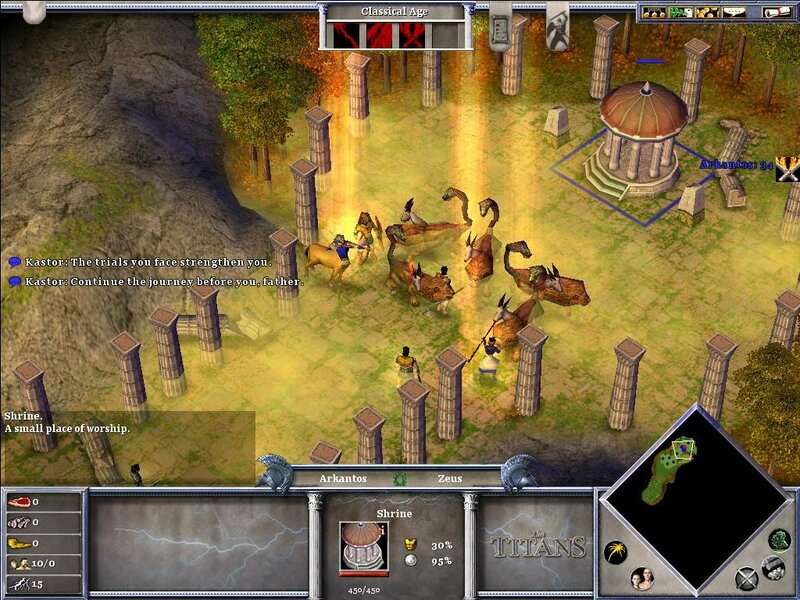 Arkantos battles a few Cyclops, just one of many mythological units you’ll face in AoM. 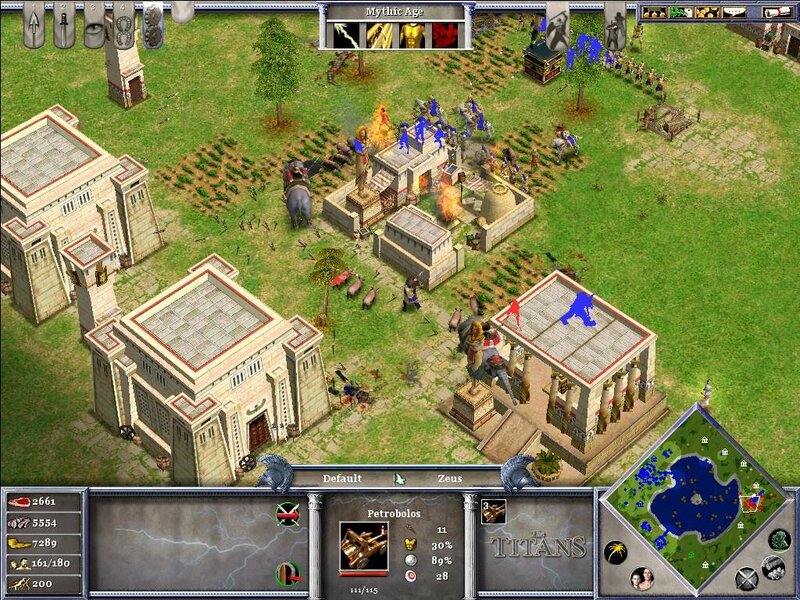 Without a doubt, Ensemble Studios positioned itself as one of the premier developers of real-time strategy after Age of Empires. 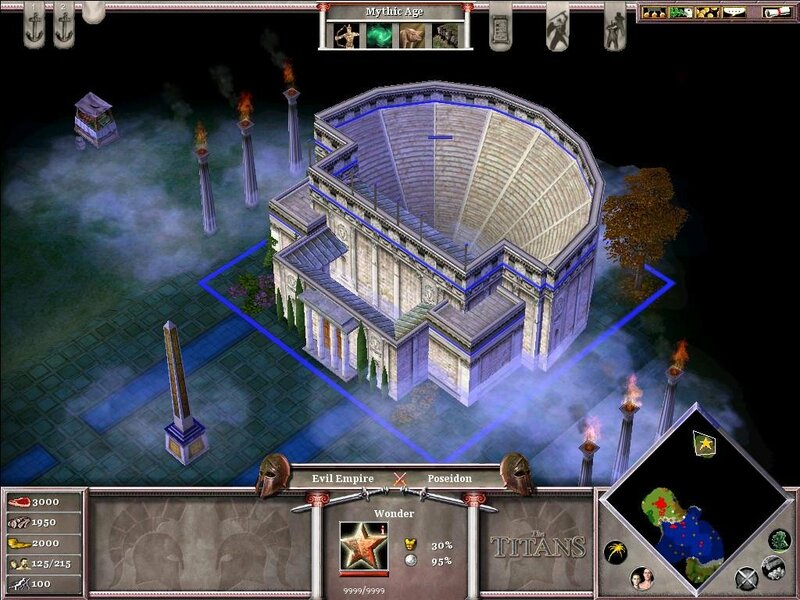 With Age of Mythology, Ensemble dropped the semi-historical settings that fueled the first two Age games in favor of the classical mythology of ancient Greek, Egyptian, and Norse cultures. 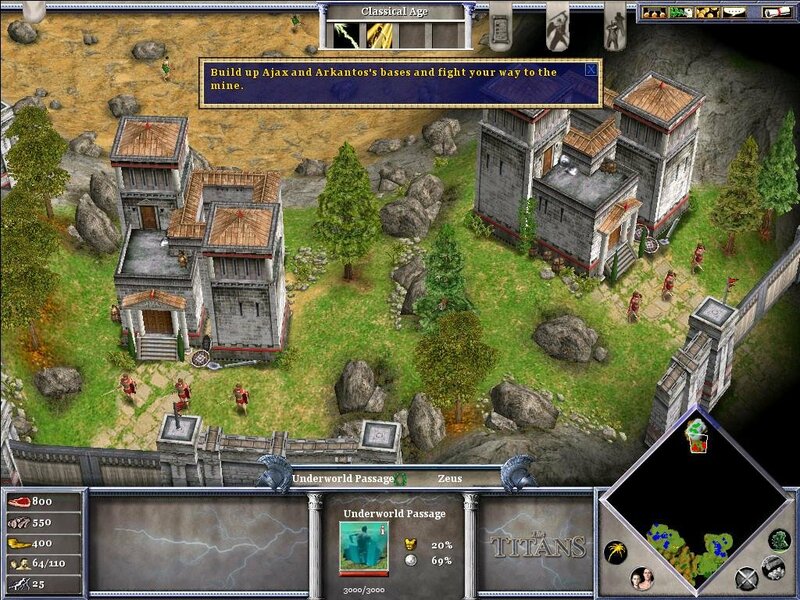 The primary hero of this saga is Arkantos, a young fella who hails from the mythical isle of Atlantis. The story, which parallels to Homer’s Odyssey, begins with Arkantos heading off to fight in the legendary Trojan War. It seems that Poseidon is ticked off at the Atlanteans, and the only way to placate him is if the war in Troy is brought to an end. After the battle of Troy, Arkantos wishes to head home, but circumstances dash his plans and he’s forced to journey across most of the known (and unknown) world on mythology’s most tortuous route back to Atlantis. Along the way he visits the Underworld, Egypt, Circe’s Island, and the Norse lands of Northern Europe before he finally manages to get back to Atlantis for the final throwdown. As you’d expect, this kind of epic globe-trotting campaign makes for some imaginative settings and situations. 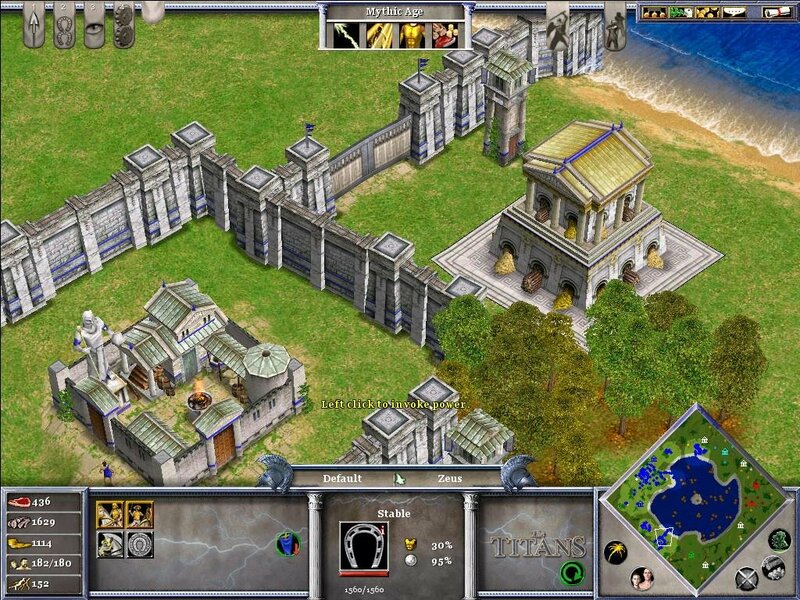 The 32 single-player missions (not counting the three tutorial missions) are divided into three campaigns — Greek, Egyptian, and Norse — which also represent the three playable sides. 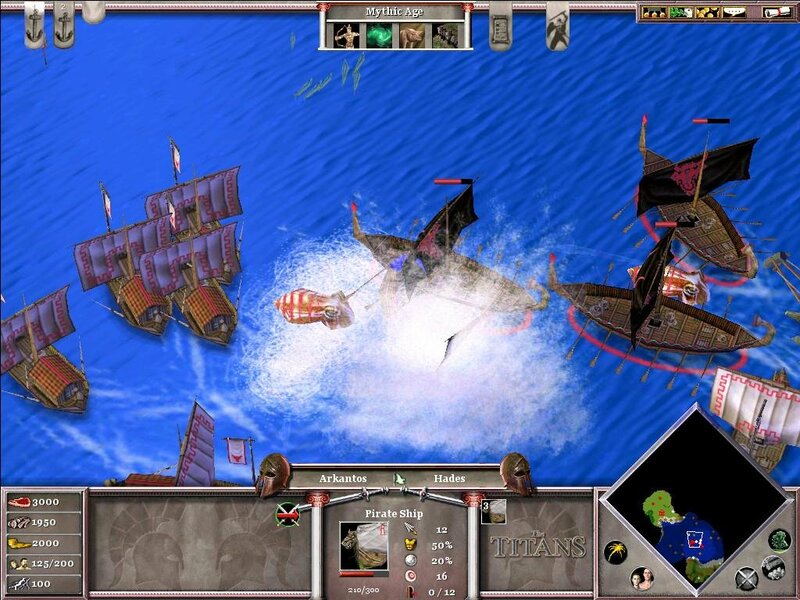 And many of the missions are extremely well-crafted – while the AOE 2 levels were sort of drawn-out and tedious, here everything is a lot more dynamic and fun. At times great fun. 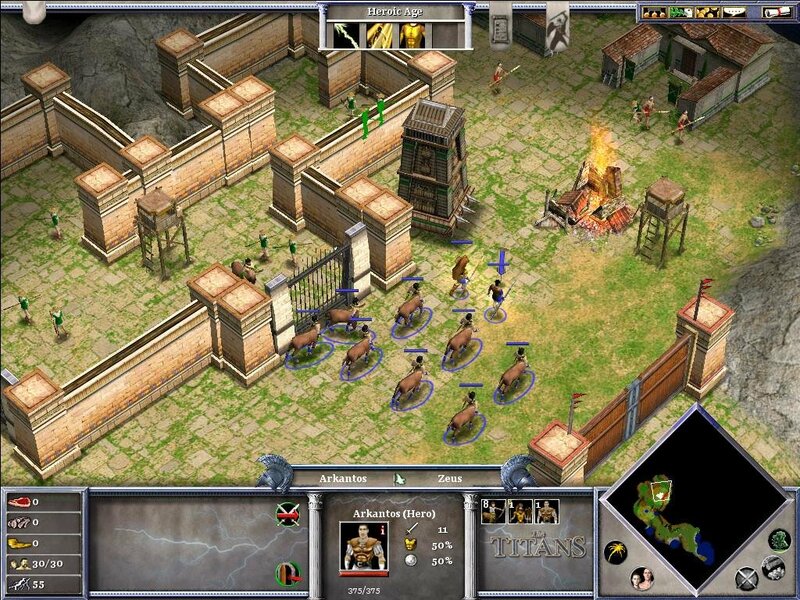 The early mission where you sneak out of the Trojan Horse under the cover of night and let in the rest of your troops, who quickly raze the city, is a great deal of fun. 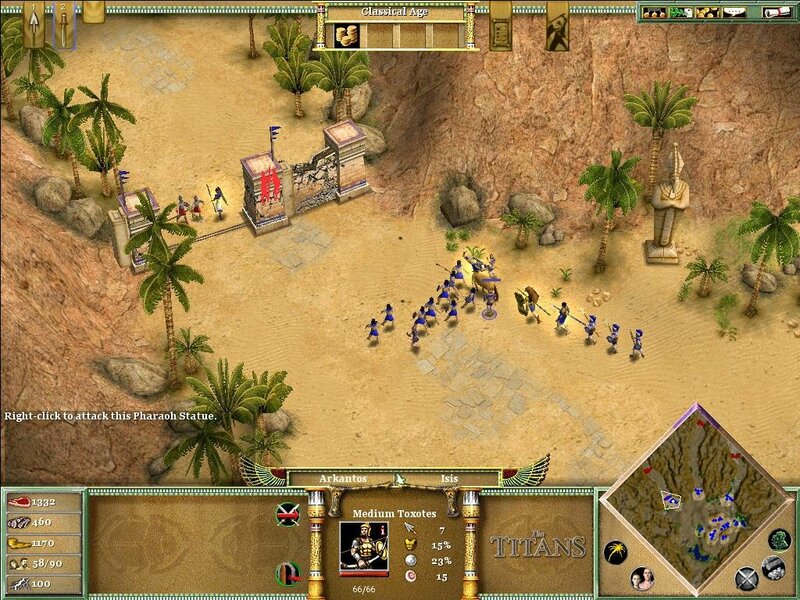 Another level in Egypt has you fighting over a slow-moving caravan in what best can be described as a tug of war (Warcraft 3: The Frozen Throne would take a jab at this great idea as well). Another highlight is a mission set in the Underworld, where you have to protect a group of dwarves who are desperately trying to build a new hammer for Thor. 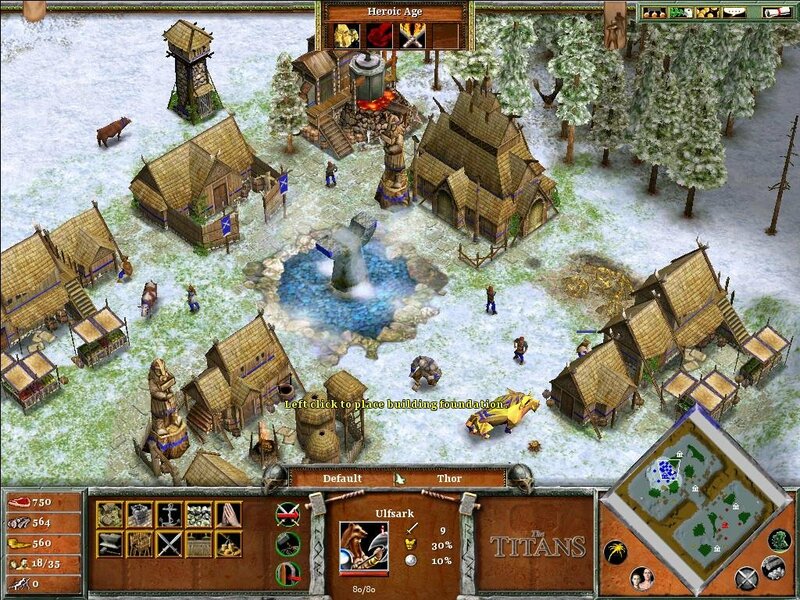 What differentiates Age of Mythology the most from past games is the focus on mythological creatures and powers, although wrapped in a credible historical tapestry according to each civilization. 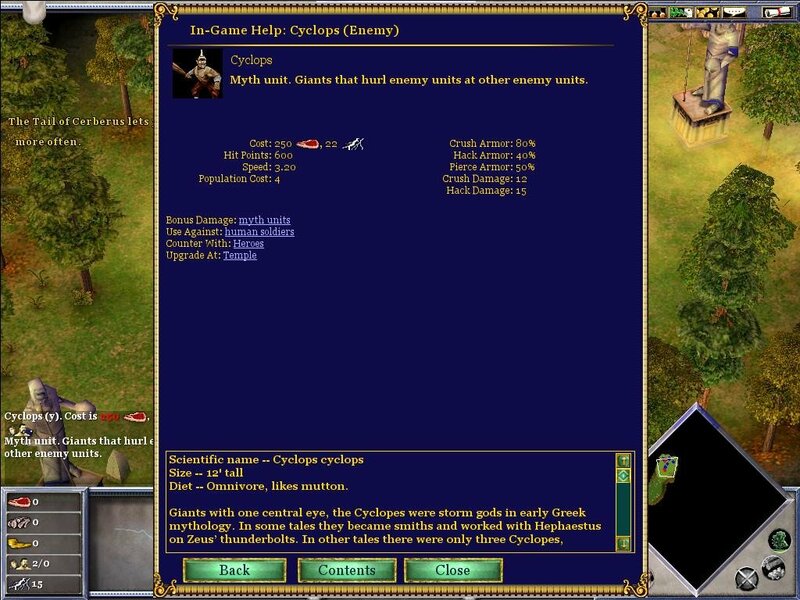 There’s even a fascinating in-built mini-encyclopedia, which details the game mechanics and historical data on each unit, godly power, building and just about everything else that’s selectable. Because of the setting, interaction with the gods is a regular occurrence and especially plays out during the four age upgrades. 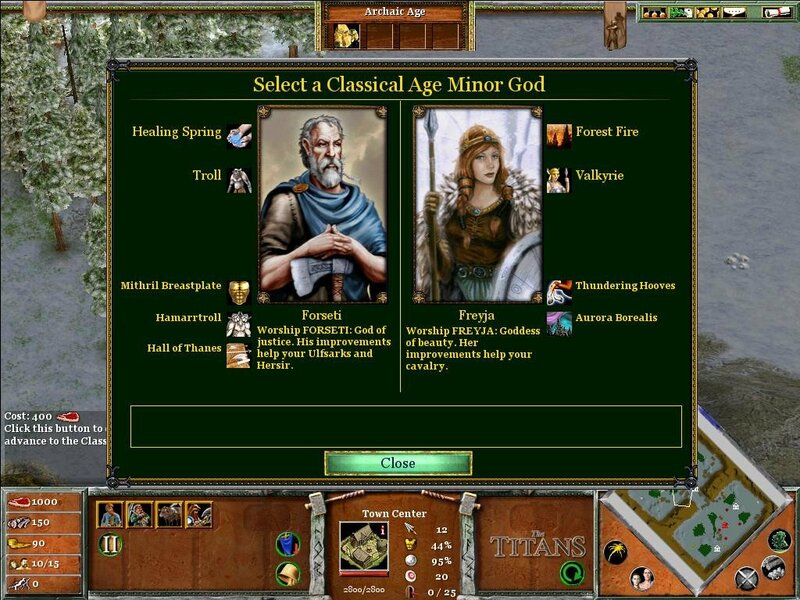 Depending on the mission, you can choose to worship one of two minor gods, and your selection determines which special units, upgrades, and god powers will be available, adding a wonderful bit of strategic depth. For example, if you’re playing a mission wherein water is a factor, you’ll want to pick a minor god that gives you a water-based myth creature, such as the Kraken, which you can then summon to obliterate an enemy fleet. Defensive players can vouch for gods that enable healing, strengthen buildings or reward them with a “Vault of Plenty” that streams a steady flow of resources to whomever controls it. After each age upgrade you’re given a god power, with a maximum of four per mission. Again, these powers — which range from swarms of locusts to massive asteroid attacks that flatten stretches of land — help bolster a particular strategy. And if you pick your god powers carefully, you can use them one after another to decimate an enemy’s forces. 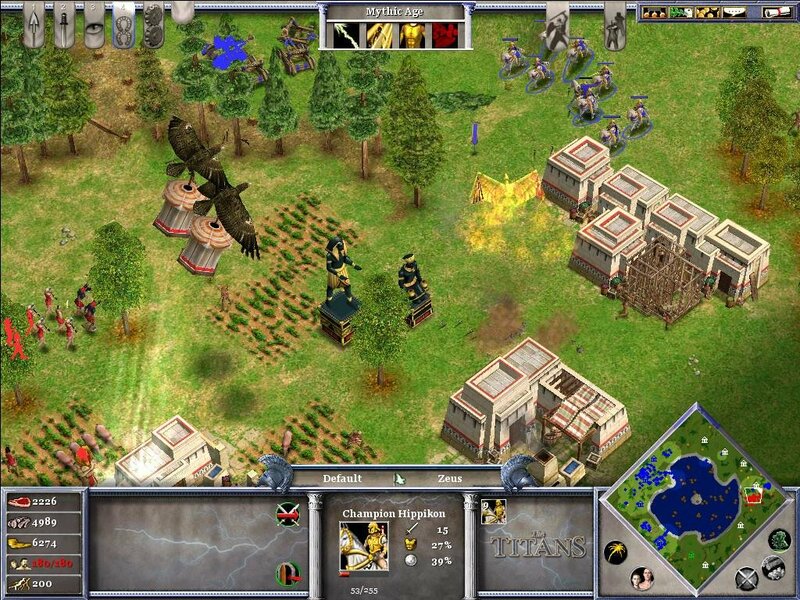 In terms of military units, the three playable sides provide a bevy of unique men, heroes, and mythological units. 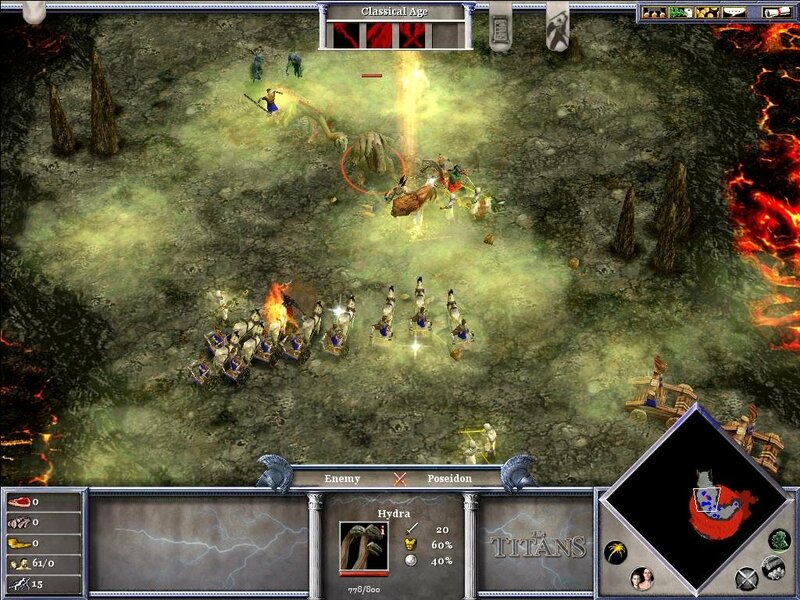 Each side has its own standard military grunts, such as spearmen or the equivalent, but the real fun comes from using hero and balanced myth units. And this balance is particularly noteworthy. A powerful myth creature will make short work of the game’s standard grunts, but since heroes get an attack bonus when fighting myth creatures, it’s extremely important to have a couple of heroes mixed in with your fighting force. 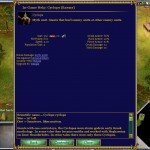 You buy these mythical units and godly upgrades with the help of ‘Favor’, which essentially works as a resource gathered by peasants when they pray at a temple (actually each civilization gains Favor differently – for instance the Norse gain it through combat, while the Egyptians build monuments). 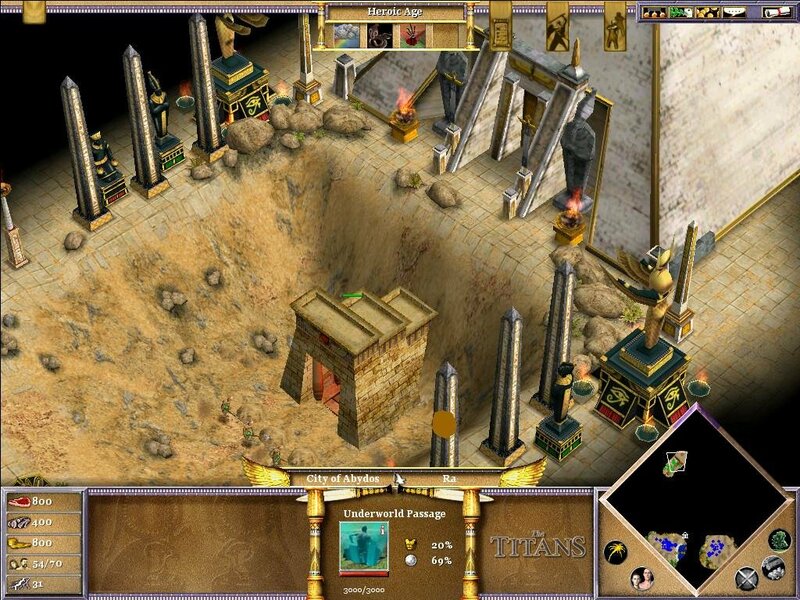 Favor takes place of AOE’s traditional Stone mined at quarries, but it’s an interesting trade-off (towers and walls are built using Gold now). The powers you’ll get depend on which god you worship. The encyclopedia is actually a great asset. In addition to the single-player campaign, you get 21 random skirmish maps (each map has specific elements, such as a main river, but randomizes its location) that can also be used in multiplay. 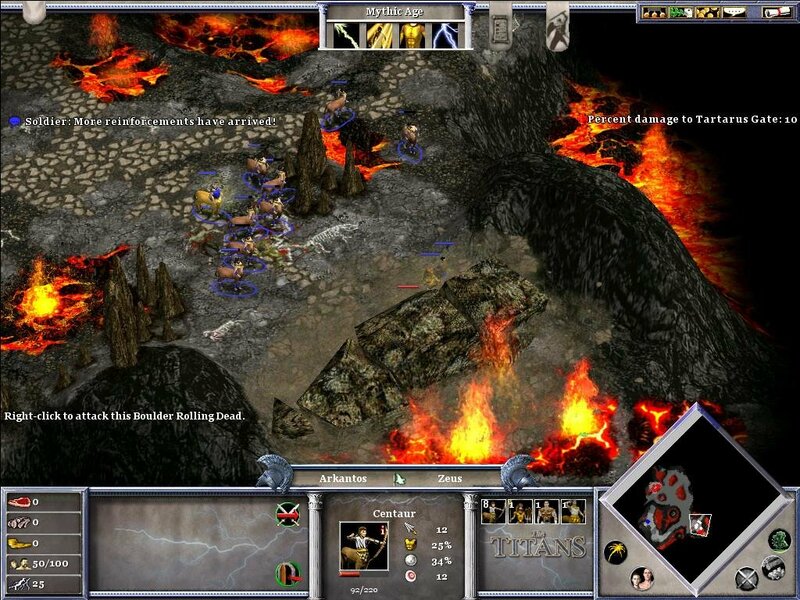 AoM has four multiplayer modes — Supremacy, Conquest, Deathmatch, and Lightning— and the game is playable over a LAN or online via Gameranger. 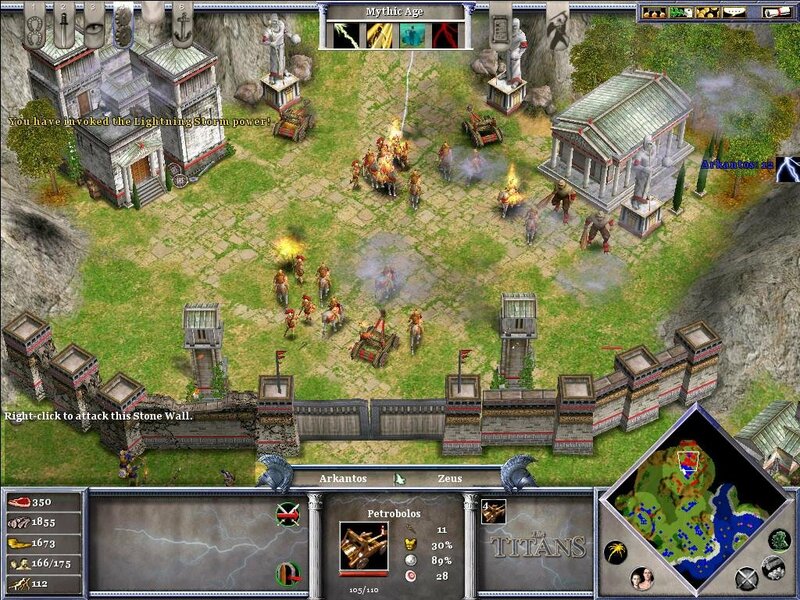 Of the four multiplayer types, Deathmatch will be the most familiar to Age of Kings players, while Supremacy and Conquest are variations on the “destroy everything in sight” theme. 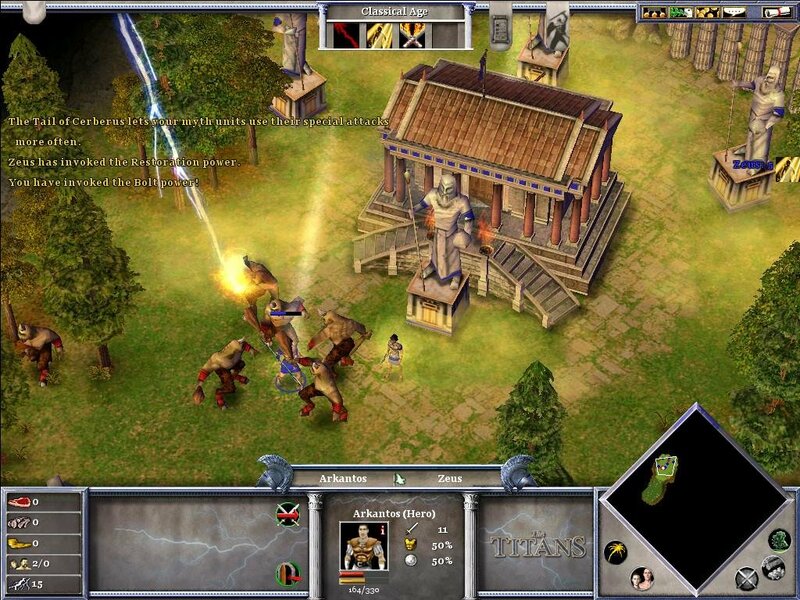 You’ll have a great time playing Age of Mythology. The campaign, whose levels are diverse and touch on some creative designs, should take you at least a week to complete and will offer a fair challenge to players of various skill levels, and online multiplayer is equally fun. 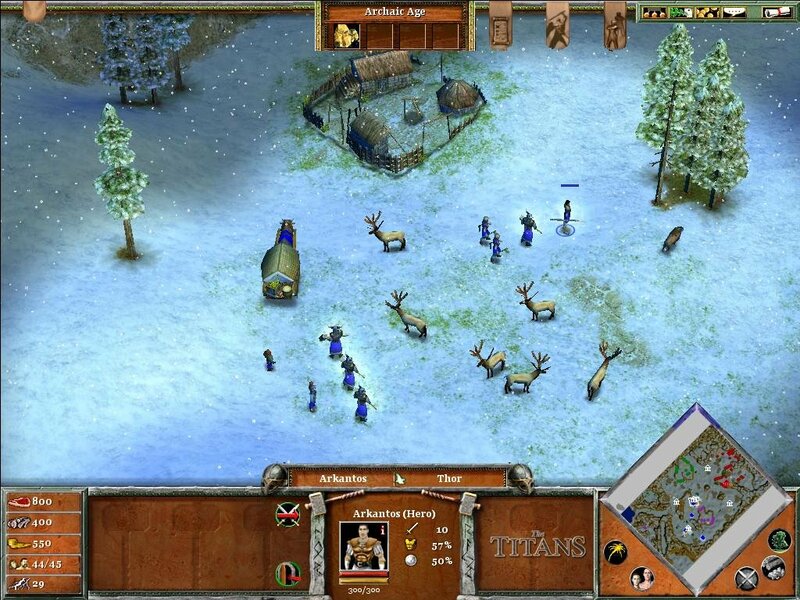 It’s simple to recommend for fans of Ensemble’s Age of Empires games, or for any RTS fanatic. Can someone make a quick guide on how to run this game? I honestly tried to use the guide but it’s too vague. I get a missing files error when I try poweriso. My apologies if this sounds a bit thick but I was wondering if you could help. 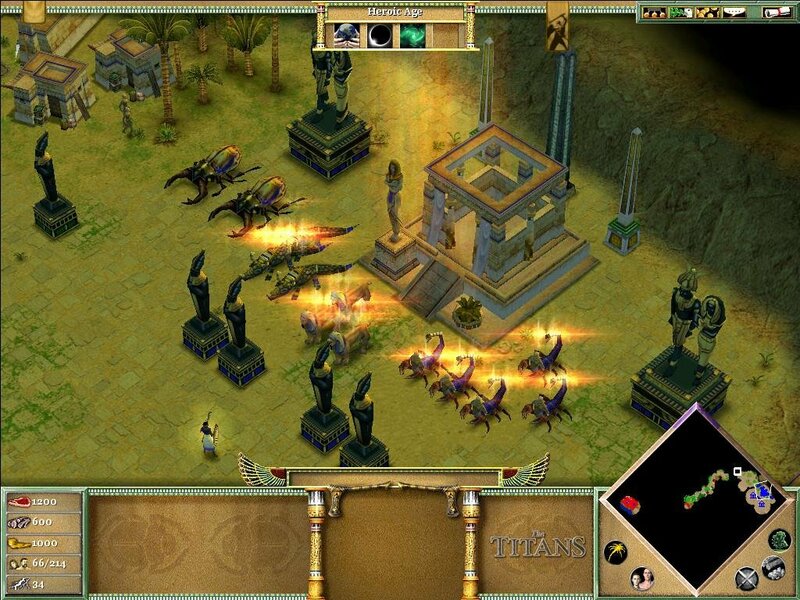 I have downloaded the Age of Mythology game and have tried to install it. However, when it asks for disc 2 I can’t get it to carry on. Am I doing something wrong? I’d be very grateful if you could help me with this problem. Thanks! where can I find this ‘guide’ people have been following? So I tried using Poweriso. I mounted both files into two different drive and successfully downloaded the game. after this I get either a missing files error or a “Insert disc 1” message. Then I tried burning both files onto 2 cds and installed it that way. I still get a “insert disc 1” message and have tried having the burned cd in and mounting disc 1 to a drive. Not sure what im doing wrong??? I got the missing RockallDLL.dll error to but eventually I got pass that. Now I’m stuck on the error that my graphics card is not supported. 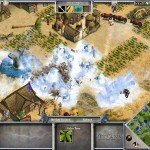 I have Intel4400 (built in sucky graphics yeah I know) but it should still run a game whose min requirement is a Intel740 (1997 I think?). 1. After downloading the game and BEFORE mounting the ISO one MUST FIRST copy and paste the “AoM” shortcut found in “AOM crack and CD File” into CD: AOM 1>AOM Then save the file (use WinISO as the file is too big for the unregistered version of PowerISO). If the graphics is really low there’s a Youtube video on how to change it. 1. 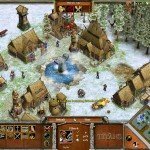 Mount CD, install, copy crack into game folder. That’s all, unless otherwise stated in the help file that comes with the game. I’ve done installing it. 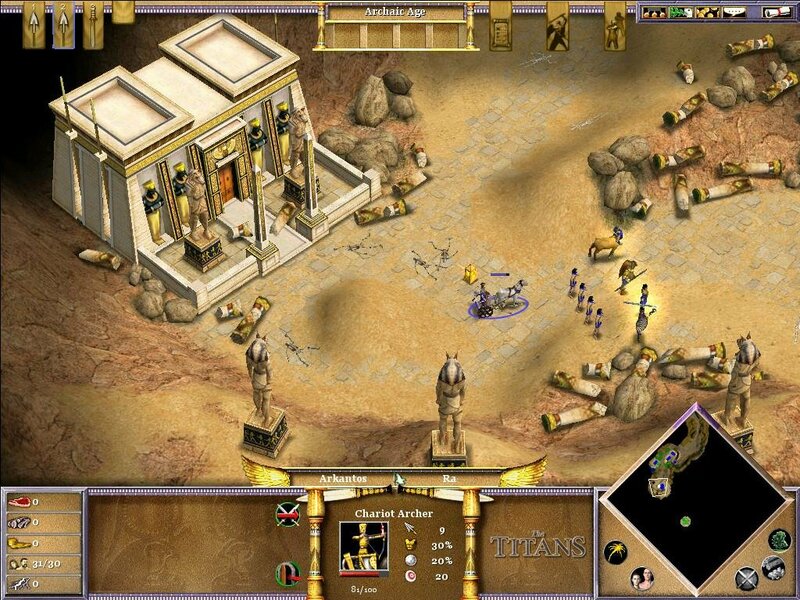 But when I’m trying to play the game its says “Cannot locate the CD-ROM” “please insert Age of Mythology Disc 1, select OK and restart application”. Any Solutions? when i Mount CD1 and want to install it, it says : u must have the Administrator privilege to do this. what do i have to do now? Copy+Paste is the solution since the serial works. Maybe the installer is buggy under Win 7/8/10 in which case there is no solution. I mounted and installed the game, I am running it as administrator and I got through the first two videos, then the screen goes black. I tried running in compatibility mode but it still happens. Please help!!!!!! it says i need admin privelage and when i run it as admin nothing happens? Runs well on Win7. Good game overall. Thank you. installed disc 1 portion asking to insert disc 2 but canot able to intsalled cann anyboby help me out. installed disc 1 portion asking to insert disc 2 but canot able to intsalled? How can I do? can anyboby help me out. IS THE ZIPPED FILE IS NOT CORRECT? MOUNT WITH POWERISO, DON’T EXTRACT WITH WINRAR. so I have copied both the disc data from winRAR toa single folder. then I installed the game with the key provided and the again pasted the files of crack file in the game folder. now when I start the aomg application it just doesn’t start but if I start aomx application it says rockllDLL.dll file is missing. what do I do now? Pls help! Sanyam, are you lazy to read or stupid? Open your eyes and look for “CAN’T RUN A GAME?” in this site and press “Read this first!”. Damn, everything is explained in this site. Why some dummies doesn’t read that? Extract crack into game folder Sanyam. I was able to open the game and view the beginning cut-scene. After that it goes to a black screen and I have to alt+ctrl+del out of it. Anyone else have this problem? disk 2 isn’t working . Many people lived under a rock… “how to download?” “how to install?” “where is guide what to do?”. It’s big surprise they managed to write comment here if they are stupid enough to miss lines “CAN’T RUN A GAME?” and “Read this first!”. I just got it all up and running. Thank you very much! After installing 35% it is displaying an error that please insert disc in C drive. What should i do now? How can i install it completely?? 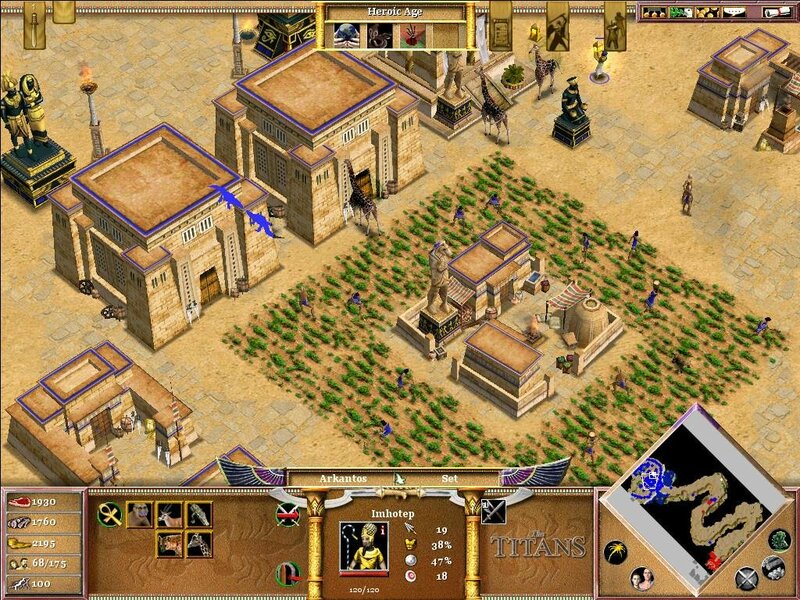 It is displaying that “Insert Age of Mythology Gold Mythology Gold Disc 2 into Drive C:.” What should i do now? 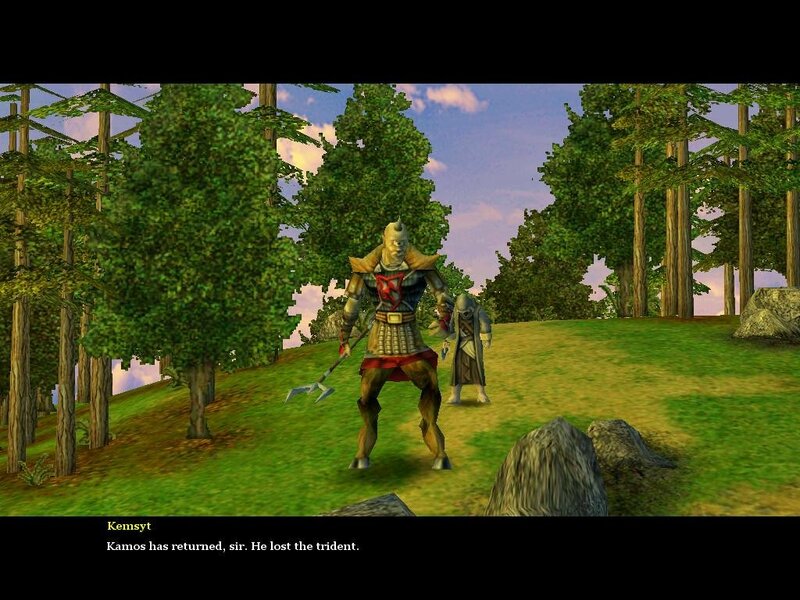 Even I, worst among the incompetent have manged to install the game. -my pc doesn’t have a cdport so i just used the program to extract on to my drive. -then run setup should go smooth. I CANT EXTRACT THE CD FILES!!! You’re the one failing, you’re supposed to MOUNT the CD files, not extract them. Does it require Disc to install after downloading there files. ? any recommendations for system or screen res. ?